Run toward these high-yielding stocks. It's been a euphoric ride for many investors since the November election, with the major indexes hitting record highs in the Trump rally. 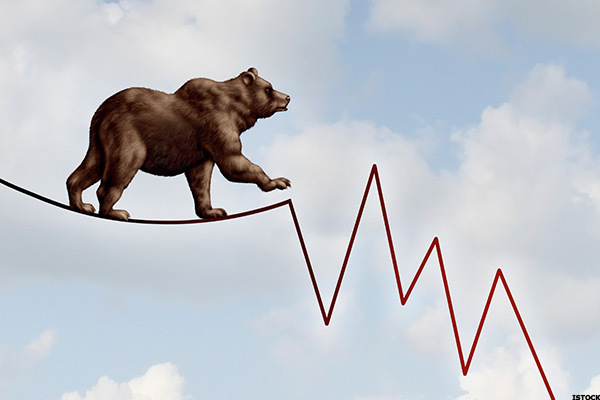 But with bearish calls on the market escalating in recent weeks, some experts suggest investors start taking some profits and perhaps reinvest the cash in more defensive, high dividend yielding stocks, such as real estate investment trusts, to ride out the uncertainty. REITs, which own pools of properties or mortgage securities, offer dividend yields of about 4% on average. This far outpaces the S&P 500 index, where stocks average a 1.9% dividend yield, and the 10-year Treasury, whose yield stood at 2.39% on Friday. Some individual REIT names, such as RAIT Financial Trust (RAS and Orchid Island Capital (ORC - Get Report) , offer even loftier yields in excess of 16%. However, experts caution investors not to blindly jump into REITs that simply offer the frothiest yields. "Clearly, it's a bit of a red flag if there's a yield at that level," said Bose George, an analyst at Keefe, Bruyette & Woods. A dividend yield in the mid-teens or higher could be a sign of trouble and investor belief that the dividend isn't sustainable, analysts said. Still, REITs can offer a stable haven for investors wanting to park their cash and collect a hefty dividend while waiting out the market turbulence. For many investors, the Trump rally has been a windfall: The S&P 500 is up 10.8% and the Nasdaq Composite 18% so far in 2017. For individual stock pickers, the gains have been even bigger, with certain FANG stocks, such as Apple (AAPL - Get Report) , Amazon (AMZN - Get Report) , and Facebook (FB - Get Report) , up more than 25%, and individual names, such as Wynn Resorts (WYNN - Get Report) and Vertex Pharmaceuticals (VRTX - Get Report) , climbing more than 50%. But recently, the ride has become bumpier for red-hot tech names. And that's where REITs come in. But REITs don't come risk-free. Investors need to cherry-pick REIT sectors and individual names carefully to ensure the dividend is safe and the REIT's stock price isn't about to fall off a cliff. In general, analysts see high yield opportunities in certain healthcare, lodging and net lease REITs, which all offer dividend yields in excess of 5%. Health care REITs generally offer stable predictable earnings growth since demand for doctors and nursing homes continues in good economic times and bad. However, analysts say dividend investors should avoid health care REITs that focus solely on nursing homes that could be potentially impacted by government cuts to Medicaid reimbursement rates in the Trump healthcare debate. Back in the late 1990s, for example, cuts to Medicare reimbursement rates pushed a number of nursing home operators into bankruptcy, which created chaos for the REITs that owned the properties. Experts also caution investors to steer clear of certain retail REITs, which might be impacted by store closings, retail bankruptcies and the Amazon effect. "There's risk that if there's more vacancies and they're not able to re-lease space, the dividend would not be safe," said Michael Bellisario, a vice president and senior research analyst at Robert W. Baird & Co.
Then there's the interest rate risk. REIT stocks have taken a beating since mid-2016, largely over concerns about rising rates and fears real estate might be nearing the end of its cycle. REIT total returns, including dividends, are up only 2.9% on average so far in 2017. For yield seekers, Bellisario recommends Medical Properties Trust (MPW - Get Report) , which has a 7.8% yield; he also favors two lodging REITs - Chesapeake (CHSP - Get Report) and Apple Hospitality (APLE - Get Report) - whose yields are about 6.5%, and two net lease REITs - Agree Realty Corp. (ADC - Get Report) and STORE Capital Corp. (STOR - Get Report) , which offer yields of 4.4% and 5.2% respectively. Mortgage REITs offer the fattest dividend yields - currently averaging 9.7% - but also face the biggest risk from both rising rates and Fed plans to tighten monetary policy by shrinking its portfolio of Treasuries and mortgage-backed securities. "They're very interest rate sensitive," said Jeung Hyun, a partner and portfolio manager at Adelante Capital Management. "There's a lot of risk there even though the yield looks very attractive." Mortgage REITs borrow money based on short-term rates, and then use the cash to buy long-term bonds. The bigger the gap - or spread - between the funding costs and the yields on the mortgages they purchase, the bigger the profit. As rates rise, bond prices fall, which means the mortgage REIT faces a double whammy with higher borrowing costs and lower yields on the mortgage securities it holds. When the Fed announced plans to pull back on bond purchases in the "taper tantrum" of 2013, residential mortgage REITs got clobbered. But analysts don't expect a similar reaction to this year's plan. KBW's George believes the planned rate hikes and taper tantrum are already largely priced into current mortgage REIT prices. "The risk is if the rates move more aggressively than expected," said George. His top picks are Two Harbors Investment Corp. (TWO - Get Report) , which has a 10.4% yield, PennyMac Mortgage Investment Trust (PMT - Get Report) , which offers a 10.3% yield and New Residential Investment Corp. (NRZ - Get Report) , which has a 13.1% yield. He also likes AGNC Investment Corp. (AGNC - Get Report) and bellwether Annaly Capital Management (NLY - Get Report) , whose yields are about 10%.